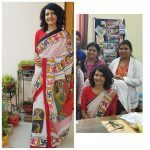 100sareepact | When Thursday felt like a Saturday! How could one resist the temptation of induging in bit of Holi revelry at work this Thursday. 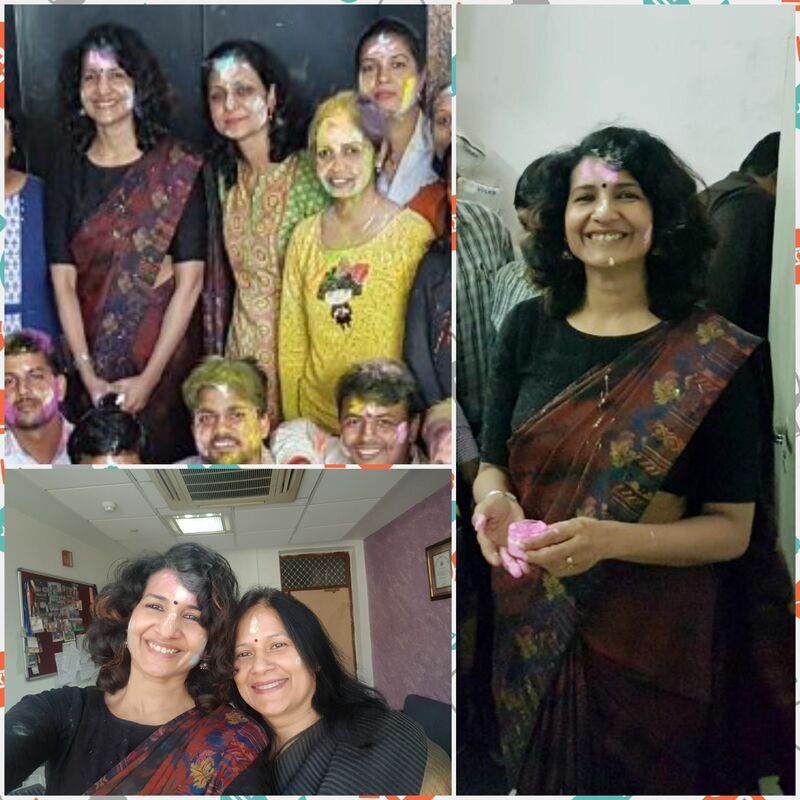 I came prepared though in a dark colored saree! Its a butter silk in rust and brown color which I bought from Varanasi years ago.